To wrap up the Street Fighter week, I am going to share a few vintage Street Fighter Zero trading cards of my collection. I wonder anyone kept them as well. First of, Akuma aka GouKi. The front was landscape which the back is in portrait format. All about Akuma. 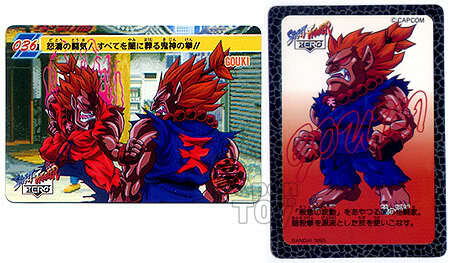 At the lower right hand side of the front card, there was a logo of Akuma in shinning clrome effect. 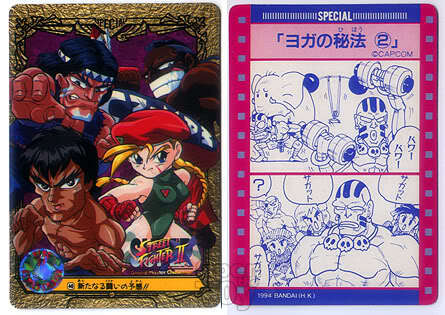 Next was card of the four characters: Fei long, Cammy, Deejay and Tomahawk. The back of the card had a comic strip of Dhalsim in japanese. Cute. I have this Chunli in the same series. Both side are in landscape. At the back of the card was her background story in Japanese with her attack and defense power for card game playing but I failed to know the rules. Anyone know how this is being played? Overall I really like the cute drawing of the card. I only have these card in my keeping now. 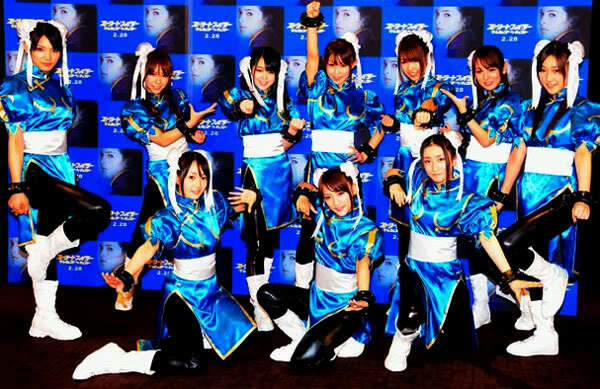 As we come to the end of the Street Fighter week, I would like to thank everyone for their contribution to make this Street Fighter week a sucess. I have cards like those, but they are Dragonball ones. Had tons more when I was a kid, but only have a handful left right now. I enjoyed SF week! If it weren't for the NECA Ryu review, I wouldn't have stumbled upon the SOTA Guile figure which is awesome! Thanks Jcee. For the NECA Ryu review, we have to thank phantomzone for that. I have Dragonball cards too. Will review later. :) I remember each card was about $0.20 for a turn in a machine. I don't have any card collection T_T to share. 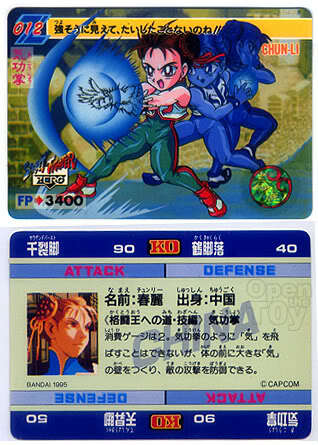 I used to have these SF card and Dragonball cards. They were so hot were I was a student. I even risk bringing them to school and trading with my friends. Search for it and share with us! Do you still have them now? Those are really old school man. And they look real mint! I gave the whole stack to my nephew already however he didn't seem interested. He's only into Yugioh. Ha! Ha! Generation Gap! I understand. I sure hope the card you have given is being kept well.